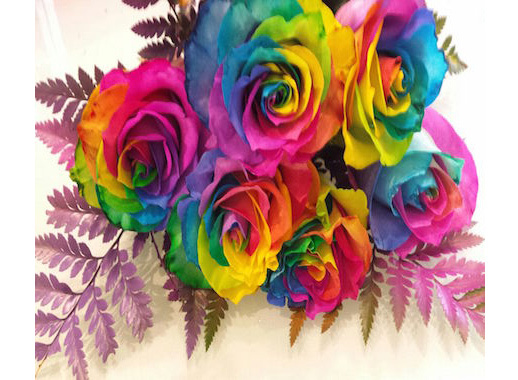 FB26 Rainbow Roses with coloured foliages Flower Bouquet. Extra large bloom and long stemmed Columbian Rainbow Roses. Same Day Delivery today. Rainbow Roses with coloured foliages Flower Bouquet. Extra large bloom and long stemmed Columbian Rainbow Roses. Same Day Delivery today.